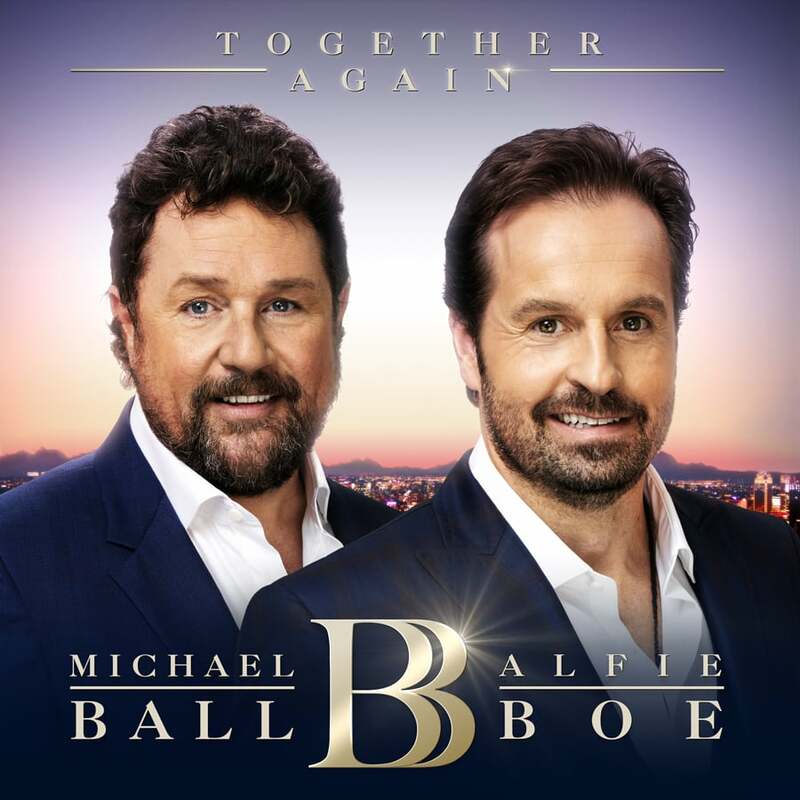 Two of the nation’s favourite voices, Michael Ball and Alfie Boe are setting themselves the ultimate challenge… to break a world record in celebration of their new album ‘Together Again’, out on October 27th. As thousands of fans across the UK queue to get their hands on a copy, Ball and Boe will race across five cities to sign as many albums as they can in 24 hours! The race against the clock will begin in Alfie’s hometown of Blackpool before they hit hmv stores in Sheffield, Manchester and Nottingham. Their first album ‘Together’ was the biggest selling album released in 2016 and reached the coveted Christmas Number One spot that year. The album has reached double-platinum status, with over 600,000 copies sold in the UK. So in Ball and Boe style, the pair are back to achieve another tremendous record. If Ball and Boe are successful in reaching all five cities within 24 hours, they will claim the record number of public appearances by musical group. The record is currently held by Irish boy band Westlife, who visited five cities in 36 hours in 2002. Access for fans will be granted on a first come first served basis with a purchase of ‘Together Again’ from hmv Blackpool, Manchester, Meadowhall, Nottingham or 363 Oxford Street on the day of the event. Access limited to 100 people per store, time dependent. The new record attempt will be on the release day of ‘Together Again’, which sees Ball and Boe bring the West End, Broadway and Movie classics back to life on ‘Together Again’. The record features a wealth of hits from a ‘West Side Story’ medley to ‘New York New York’, As If We Never Said Goodbye and Bring Me Sunshine. The second album comes with the start of a new partnership with Decca Records as the label announced three new signings: Michael Ball joins as a solo artist, Alfie Boe returns as a soloist, and Ball and Boe reunite as a duo. The pair will also be returning to screens for their own ITV Special ‘Ball and Boe Back Together’ later this October, following the huge success of their first special last year. These two vocal powerhouses will take to the stage to perform some of their favourite hits – showcasing their unique blend of extraordinary talent alongside their infectious humour. The show with feature guest appearances from award-winning singer Imelda May, and comedian, actor and singer, Jason Manford. Over his extraordinary 30 year career, Michael’s outstanding performances have made smash-hit box office history. He is a double Olivier Award winner, multi-platinum recording artist, top selling live concert performer and a hugely popular radio and TV presenter. Alfie’s exceptional voice has made him Britain’s most popular and biggest-selling tenor, who has triumphed on theatre stages and in concert halls on both sides of the Atlantic. A Tony award winner, as accomplished in leading the cast of les Miserables as Jean Valjean, as he is stealing the show at the VE Day celebrations at Buckingham Palace or at the Metropolitan Opera House this year as Jimmy in Pete Townsend’s Classic Quadrophenia. The album’s double-platinum success is a testament to the popularity and talent of the UK’s finest voices and the momentum shows no sign of slowing with the release of ‘Together Again’.